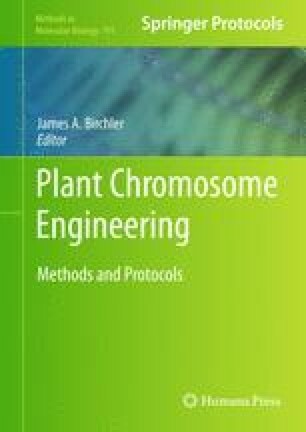 Plant genetic engineering has become one of the most important molecular tools in the modern molecular breeding of crops. Over the last decade, significant progress has been made in the development of new and efficient transformation methods in plants. Despite a variety of available DNA delivery methods, Agrobacterium- and biolistic-mediated transformation remain the two predominantly employed approaches. In particular, progress in Agrobacterium-mediated transformation of cereals and other recalcitrant dicot species has been quite remarkable. In the meantime, other transgenic-enabling technologies have emerged, including generation of marker-free transgenics, gene targeting, and chromosomal engineering. Although transformation of some plant species or elite germplasm remains a challenge, further advancement in transformation technology is expected because the mechanisms of governing the regeneration and transformation processes are now better understood and are being creatively applied to designing improved transformation methods or to developing new enabling technologies. The authors would like to thank Dr. Seth Findley (University of Missouri-Columbia, USA) for his critical proofreading. This work is supported by National Science Foundation.